New developments in modular construction techniques have made modular buildings and homes vastly more cost-, time- and energy-efficient than traditional, stick-built homes. Can this new technology be part of the solution to our current shortage of affordable housing? At a time when more than 30% of the nation’s households are burdened by the cost of shelter, it certainly comes as no surprise to anyone: affordable housing is becoming scarcer than ever, and especially so in some of the country’s more expensive cities. To combat this shortfall, developers, lawmakers, renters and property owners alike have had to think outside the brick-and-mortar box. 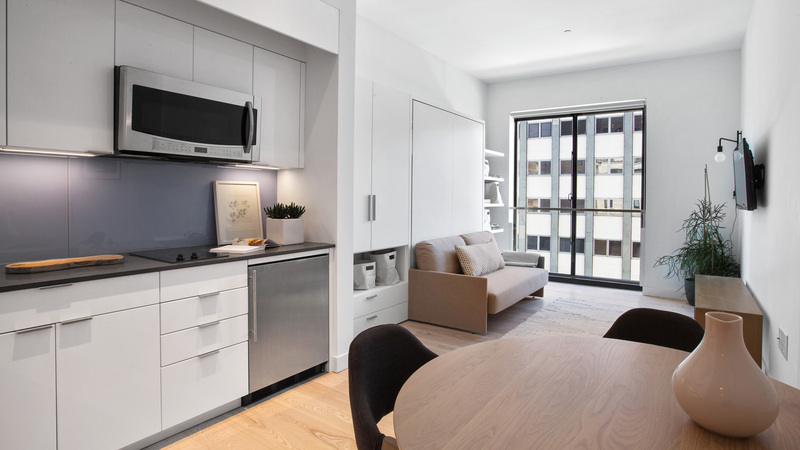 The co-living and micro-apartment trends have taken off within the past decade, due in no small part to the rise of small households and the egregious lack of affordable housing options that cater to them (in New York City alone, this demographic comprises two-thirds of the population, though less than half of the housing stock is geared towards their needs). By relaxing many antiquated housing regulations and permitting smaller unit sizes and higher maximum densities, the thought is that cities can add considerable volume — and, in effect, reduce the average selling price and rent costs — of the available housing stock. This solution seems simple enough; and yet, merely reducing the average apartment size has proven to be only one piece of the great Gordian knot that is the nation’s current housing crisis. As more millennial renters seek to live closer to restaurants and entertainment in densely populated urban areas, the hard costs and physical and logistical challenges of construction increase. Ergo, many co-living and micro-units, despite their considerably smaller sizes, are nonetheless priced at or above market value — in other words, homes are becoming more expensive even as they are getting smaller. If only there was a way to slash the hard costs of construction, cities could not only build more housing, but also stabilize rising rent costs…. Enter: the modular construction movement. Modular buildings and modular homes are prefabricated constructions made of repeating sections, called (naturally) modules. 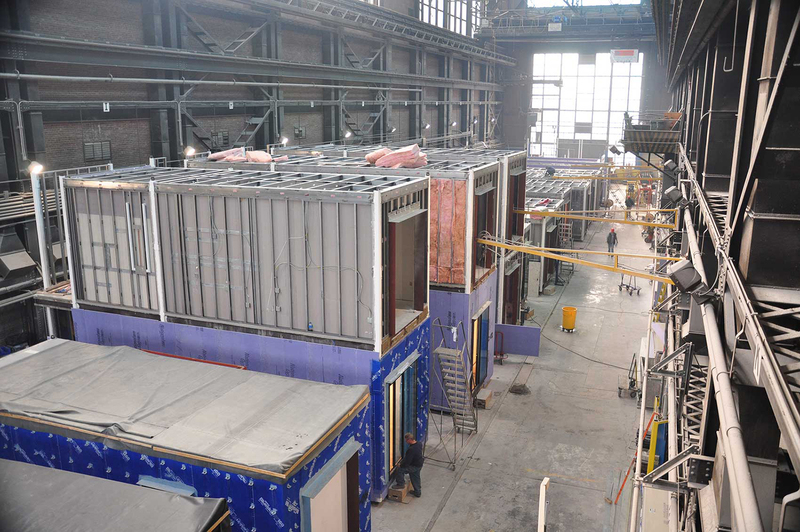 The modular construction method involves constructing these individual modules off-site, often on moving production lines in a remote building factories, then delivering and assembling them on the final building site. Modular buildings are constructed with all the same building materials as traditional, “stick-built” homes, but major advances in modular manufacturing have significantly improved their quality — so much so, in fact, that they often outperform traditionally constructed buildings in terms of precision, speed of construction, cost effectiveness and energy efficiency. In the highly controlled environment of a factory assembly line, manufacturers can displace many of the costs, down time and physical difficulties of urban construction — and all the while, vastly increase the accuracy of specifications down to a fraction of a millimeter, thanks to digital technology. As a result, the cost of a modular home can be 15% cheaper than a stick-built home, and possibly even more so if the building’s final site is in particularly hard-to-access location. Once the building is ready to assemble, they go up faster than traditional buildings, and often come finished with tile, carpeting, even décor. Modular buildings have already made their impression in some of the country’s most densely populated cities. 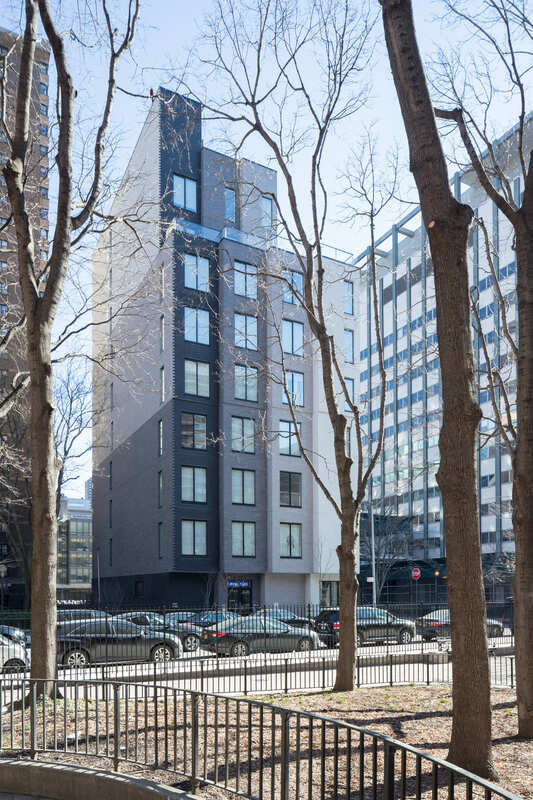 Carmel Place, New York City’s first ever modular construction and micro-apartment development, was completed in the spring of 2016 as a prototype building to address the city’s rapidly growing small-household population. 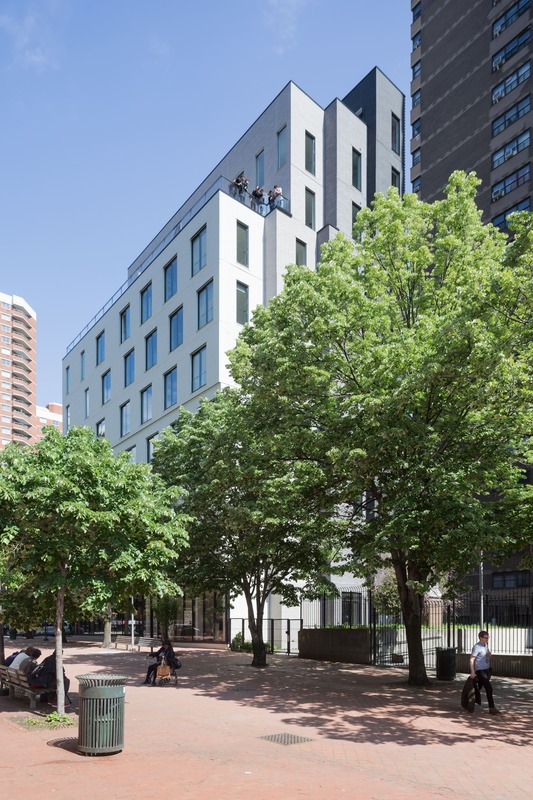 The module units were prefabricated in the Brooklyn Navy Yard, delivered by truck over the Manhattan Bridge and assembled on-site in Kips Bay, where the building now provides 55 accessibly priced micro-apartments with top-of-the-line amenities and services. 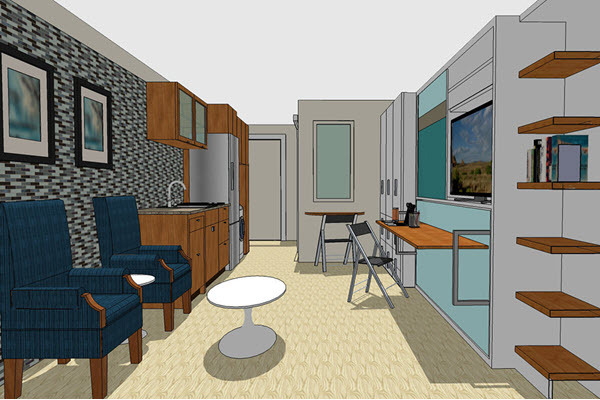 22 of the rental units at Carmel Place are dedicated for affordable housing, and of those units 8 are reserved for formerly homeless US veterans (these and other units were outfitted with space-saving furniture from Resource to help maximize efficiency while shrinking their footprint). Upon its completion, Carmel Place drew incredible interest, receiving 60,000 applications for its remaining 14 available units — a number that should grab the attention of city lawmakers and affordable housing advocates. The massive success of this prototype was a major step for the future of modular construction, proving that these structures are not only cost- and time-efficient, but highly desirable properties. 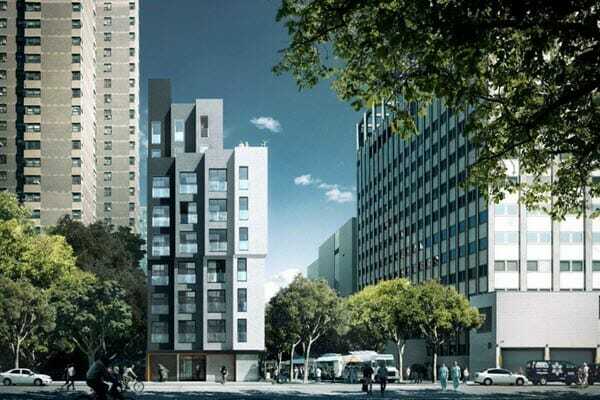 So, could modular construction be part of the solution to affordable housing? The answer will ultimately depend on how large a role we allow prefab manufacturers to play in our housing market. Carmel Place was granted several mayoral overrides, but other modular homes are still subject to state housing regulations — meaning many homes must leave walls open for on-site inspections, delaying the construction and assembly process. With a crisis so urgent, and a potential return on investment so great, there’s little reason policymakers nationwide should not seriously rethink our current housing regulations. Living smaller isn't just for young people! 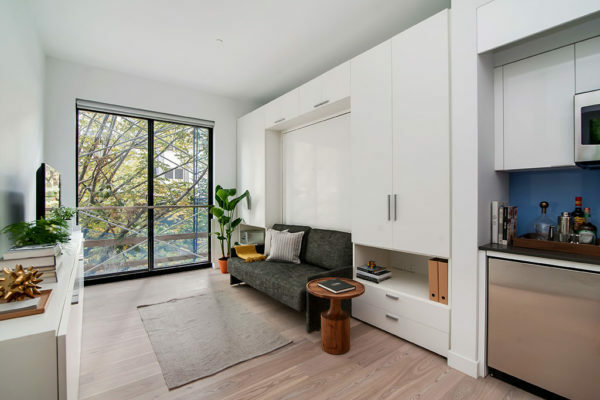 NYC’s first micro apartment development is the winner of Fast Company’s Innovation by Design Award and the 2017 AIA Award for Architecture.